What? Canadian artist Calvin Nicholls, who specialises in nature and wildlife pieces, uses paper to create sculptures of his subjects. 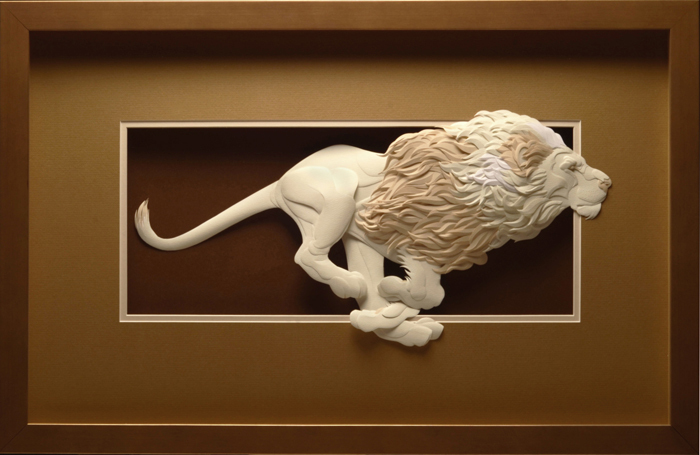 The paper sculptures are 3-D, framed and are produced according to commissions. There’s also a selection of prints available to purchase. Price depends on complexity and size of piece commissioned.